Webcams aren’t quite the must have accessory they were in 2010. Now every laptop and tablet has a camera on the front, ready and willing to broadcast your multitude of chins out onto the internets. But the webcam fattening the bezel of your laptop has some pretty severe limitations, ranging from lack of flexibility to quality. If you’re a serious streamer, or addicted to Skype, you’ll need something more. Logitech thinks it’s made that something. 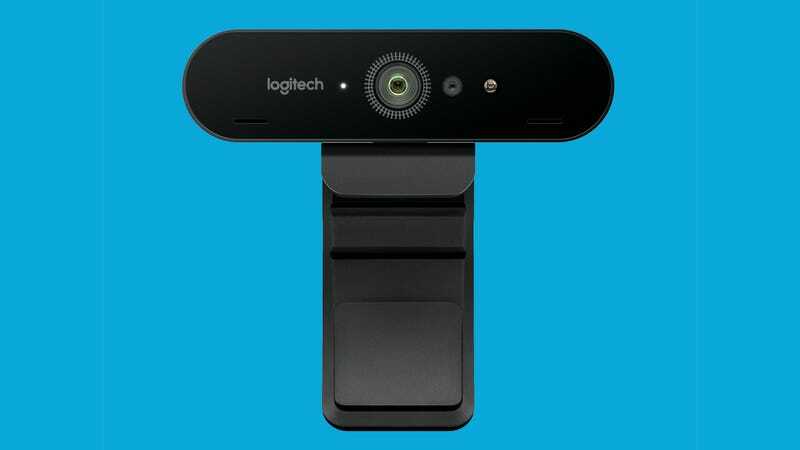 The Brio webcam appears to be the first consumer-level webcam on the market that will stream your face in Ultra-High Definition with HDR. That means 4K rendition of your every pore with many of the subtle highlights and details in shadows you’re accustomed to from cinema quality cameras. But just because the camera can catch your features in UHD doesn’t mean the computer can. UHD with HDR is such a new format for video that the majority of laptops and desktop computers can’t handle the video without choking dramatically. So the Brio will need a Windows 10 PC that can decode Ultra HD 10-bit HEVC. Which means you’ll need a 7th generation Kaby Lake processor from Intel, and that means you’ll need a computer built in the last few months to stream from the camera. And even once you get up and streaming the number of people who will appreciate your beautiful visage in HDR is relatively small. Most laptops, tablets, and phones can’t do HDR (and because HDR requires a super bright display portable devices probably never will), and monitors capable of HDR playback are only just now being made available. So if you do decide to pick up the Logitech Brio you’ll be so cutting edge you might find yourself alone. But you’ll also have a webcam that can do some pretty extraordinary stuff. Besides shooting in 4K, the Brio can also shoot in 720p and 1080p, and it has a 5x digital zoom so you, or your viewers, can creep up close on whatever the camera is recording. The Logitech Brio is available later this year for $200. While HDR fans will need a Kaby Lake processor to stream, the Brio will connect to computers via USB 3.0 and will work with any computer running Chrome OS, Mac OS, and Windows.